Cloud-based suite of business management applications. Fully embedded CRM and built-in document management. Mobile access available from any browser and any device. Flexible licensing and deployment options available. Consumption-based pricing: only pay for what you use.  Widely adopted ERP System with nearly 50k customers. 25 years of built-in functionality with hundreds of add-ons. Detailed financial reporting and Power BI connector. Familiar interface that works with other Office applications. Multiple options for deployment, that can meet any need. Companies have tremendous amounts of data they need to collect, manage, and report on. The challenge for decision-makers is accessing and fully utilizing this data without manually piecing together information from various systems. Learn how Empower helped Hoss’s Steak & Sea House analyze multiple data sets in real-time for fast and accurate decision making. Manage the entire Quote-to-Cash process from one system. Complete pick/pack/ship functionality, built-in CRM, advanced inventory management and real-time profitability dashboards. A comprehensive system to manage project costs, flexible billing options, budget comparisons, time and expense management, and change requests. Have a full 360-degree view of the Project. For service companies that need to manage scheduling and dispatch, route planning, service contracts, and equipment maintenance. All integrated with sales, accounting, purchasing, and inventory management. One system to manage eCommerce orders, financials, inventory, picking/packing/shipping, and customer support. Real-time inventory visibility, easy returns/exchanges, and integrated shipping with major carriers. "There’s a trust factor here. When Empower suggests solutions to any challenge we have, we trust they are good, solid solutions."